I’ve never had a desire to torture myself in the gym; I see fitness as something that should be FUN, which makes it easy to stick with. Until recently, I’d never worn a fitness tracker. The most I had done was consult my iPhone 6’s built-in Health app from time to time to check on steps and distance I’ve walked. 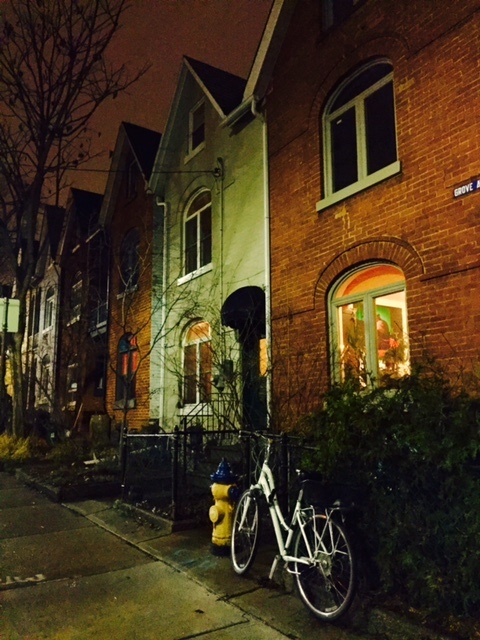 I tend to walk a ton every day, and I aim for 10,000 to 12,000 steps–but I’ve survived this long without a tracker because I know, at least in my home city of Toronto, what that distance is, and understand how far, and for how long, I have to walk to achieve roughly that number of steps. Having said that, I kind of envied my mom, who has worn a fitness tracker since they came out, and who is always checking on her sleep patterns, calories burned, and more. Same with many of my friends–I was curious, I admit, to know what it would be like to have one. So I was pretty excited when Timex sent me the IronMan Move x 20 activity band to try out. First impressions when I opened the box: Sleek! Its black face and hot-pink band look great. (It comes in plain black, too, and a variety of other colours.) The characters are easy to read–bright green on a black background. Like other fitness bands that don’t include GPS, it has many features: You can set your daily goal and it will vibrate to alert you when you’ve achieved it. And, of course, it’ll monitor your sleep patterns, count calories burned, distance walked or run, and steps taken. This Timex will store data for up to 30 days, too. And, it’s splash proof. But where this one differs from most others (my mom’s brand included) is that it also gives me alerts (via a vibration) whenever I get a text or phonecall on my smartphone–and it runs text across its face to say who the call is from. If it’s a text, it also shows the first bunch of words. I LOVE THIS FEATURE. The reason is that, when I’m out cycling on my road bike, I don’t like to stop unless I have to use the bathroom or grab a snack. 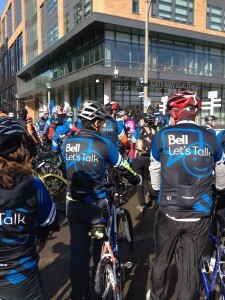 I keep my smartphone tucked into my cycling top’s back pocket, and feel it vibrate when I receive a text or phone call. Sometimes I manage to ignore it until my next break, but too often I feel compelled to check my phone right away–which means I have to unclip from my pedals, pull over to the side of the road, fish around in my back pocket for my phone, and put in my passcode to check it. (I rarely do this while still riding my bike; it feels unsafe. And there’s probably a law against it!!) Now, with this Timex IronMan Move x 20, I need only glance at my wrist to see if the call or text is urgent–no need to stop unnecessarily. Gotta keep moving! 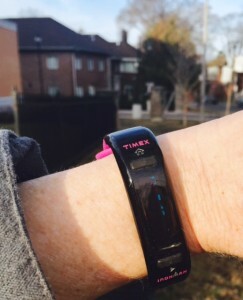 Bonus: It’s super easy to set up; I downloaded the Timex Move x 20 app onto my iPhone, synced it, and I was off to the races–not literally, but as I get my steps in, this activity band may just motivate me to race against myself, on a daily basis. I’m proof that talking about anxiety is the most important first step to managing it. Here’s my story. Highways were suddenly causing anxiety for me. A few years back, just after 9/11 happened, I was driving on the highway to my parents’ home–something I did often, and had done for many years–when suddenly my heart began pounding rapidly, my hands became sweaty and my legs turned to jelly. I thought I was going to die. I had heard about panic attacks, and wondered if this is what it felt like. 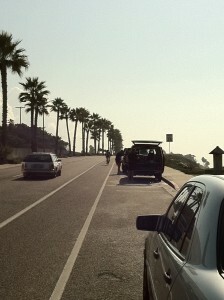 I exited the highway at the next chance, pulled over and tried to calm down. My husband was out of town at the time, so I couldn’t ask him to take the wheel for me. When I felt I could, I continued my drive, but on the smaller roads rather than the highway, and managed to get there okay. When I drove home later, I dared not take the highway. I put the experience down to the recent shock of 9/11, and figured my panic attack was a one-off. But it wasn’t. Each time I got on a highway when I was behind the wheel (I was okay as a passenger), my legs turned to jelly and I felt that chill of panic, which forced me off at the nearest exit. I felt foolish; I’d been driving very happily since age 16. I loved driving. Was I never going to do it again? 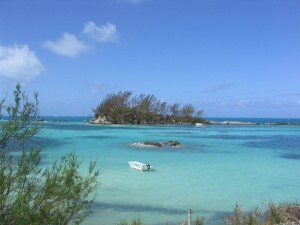 Beautiful Bermuda was no escape for the hold anxiety had on me. I got away with brushing the problem under the carpet because around that time, my husband got a job in Bermuda. Living there, we didn’t bother getting a car, since it was a small island and very easy to get around on motor scooters. Guess what? I started having the panic attacks when learning to drive the scooter. So I put off getting my license, justifying that since there was a perfectly good bus system, I could take the bus where I wanted, and when my husband and I were going somewhere, I could ride on the back of his scooter, which he assured me he didn’t mind at all. Then the panic hit as I sat on the bus! Time and again, I had to flee from the bus at the very next stop, no matter how far it was from my destination, and walk the rest of the way. THIS IS RIDICULOUS, I thought. I was so angry at myself. What kind of an idiot was I? Maybe other people experience this, so what do they do about it? I went online and sure enough I found a psychiatrist’s paper about panic attacks happening in certain situations. I learned that my world was shrinking and that as I allowed the fear to take an ever-stronger hold–indeed, to take over–I was eliminating my options for getting out into the world on a daily basis. I learned that if I didn’t get a handle on this, I could become agoraphobic and never want to leave my home. The author of the paper very helpfully included a step-by-step guide for regaining control, which I later learned was a type of cognitive behavioural therapy (CBT). The first step? Talking about it with people I trust. Of course, I had already let my husband know what was going on, and he was supportive, but he didn’t know how to help me. So I then talked to a close friend, and my sister, and while they also weren’t therapists, it was such a relief to simply talk it through and “admit” my weakness, and get that moral support and encouragement from those close to me that I could conquer the fear. That, combined with the advice I’d found online (and which I now carried a printout of in my purse whenever I took the bus, as a kind of “antidote” I could touch, and consult, whenever I felt panic coming on), helped me move forward. I was able to get back on the scooter and learn to drive well. I got my license and was finally free. But, that freedom was only in Bermuda. There was still the thought of highway driving that loomed on the horizon as we got ready to return to Canada after two years in Bermuda. That was a scarier prospect, for some reason; I thought, what if I try it and the panic comes back? I was so fearful of the fear itself that I told myself I could avoid driving on the highway. I took smaller roads, and when we needed to take the highway, my husband drove, and he never complained about it. Sure, he was “enabling” me, but at the same time, if he’d been critical of me, I’d feel despair and shame. I was so glad of his support. This went on for 7 years. We worked around the problem. I didn’t need help, I told myself. 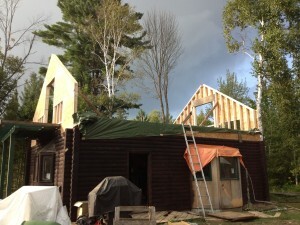 My husband was building us a cabin. If I was to drive there on my own, it was time to tackle the phobia. Then we bought a piece of land on a river a three-hour drive from home. My husband would have to be up there for long stretches working on building a cabin, and I wanted to visit when my work schedule allowed. 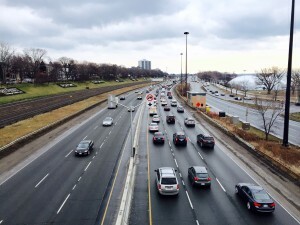 There was no bus service to get there, so I’d need my own car–and I’d need to take the highway, since side roads would take me so much longer than three hours. It was finally time to deal with this phobia head-on: So I booked my first-ever session with a psychologist. And, six sessions later, I was “cured.” We dealt with it by exposure therapy, and she helped arm me with tools I’d need like breathing exercises, and rationalization, to get me through the early stages of getting back to the highway. In her office, she asked me to close my eyes and I talk through each step of the route from my home onto the nearest highway, while she checked in with me at each virtual turn about how scared I was feeling on a scale of 1-10. As the numbers “ramped up” towards 10 (pun intended–the thought of being on the on-ramp was a 10), she reminded me to do the breathing exercises. It really helped. And it helped that I completely bought into the therapy sessions and gave myself over to the psychologist, despite how ignorant I had been about therapy. 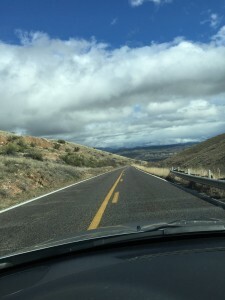 It came time to do the practical exercises, when I’d actually have to drive on the highway–something I hadn’t done in 10 years–even just for a short stretch, taking the first exit and then driving home on the smaller roads. And (drumroll): I did it. Next time, two exits–I did it. And so on. I’m now really free this time, and able to drive wherever I want, on whatever kind of road I choose. I haven’t mentioned yet the other crucial piece in the story of how I got over my anxiety. Yes, the fact we’d bought that land up north was the final push to getting some help. But I strongly believe that what had happened in my life during the one year ahead of that set me up for success: It was the year I first discovered a love of cycling–thanks to Clara Hughes. By then, I was Editor-in-Chief of a national women’s health magazine, and as such was invited to interview Clara, one of Canada’s most decorated Olympians. 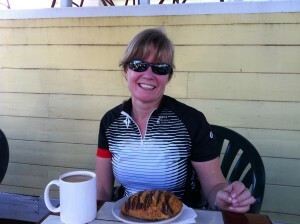 She was training for the London 2012 Olympics with her Specialized Bikes / Lululemon racing team in California. I jumped at the chance. Clara had been a hero of mine for many years; her achievements in sport combined with her inspirational work for Right To Play and her advocacy for mental health via the Bell Let’s Talk campaign since 2011 made her top of my list of people I wanted to interview. Taking up a fun new challenge helped give me confidence to finally get over my fear of highway driving. We had a couple of wonderful conversations, and over the course of a few days the folks from Specialized encouraged me to borrow a bike and take it for a spin. I did, and surprised myself by how far I rode (40k that first day). 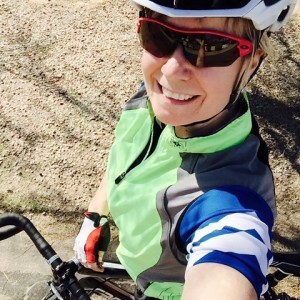 To make a long story short, I have made cycling a part of my life–I went from never having been on a road bike, or on any bike at all really, since childhood, to riding a 100-kilometre charity ride that first year, and have done much more since then. 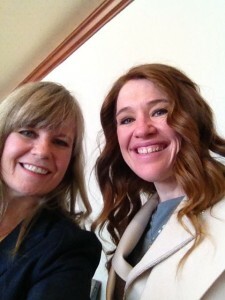 I interviewed Clara Hughes again in March 2014, just before her Big Ride. This is the start of Clara’s Big Ride almost two years ago. I was fortunate to be in the group of cyclists seeing Clara off for the first 10k as she rode around the country for 4 months. It’s true. It has been entirely freeing. 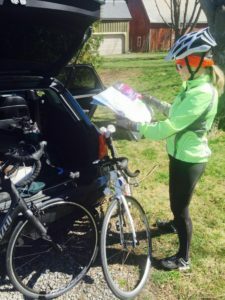 I feel that if I hadn’t discovered what I could do on a bike–how utterly empowering it is to try something new and challenging, and to achieve it, and even to have so much fun doing it–I might still be stuck in the trap of anxiety. This feeling of achievement paved the way and gave me the confidence to finally fight back against the phobia I’d had around driving. I’m no expert on mental health, obviously. I only know what my own experience was, and how I got through it. Talking to others about it, and physical activity–challenging yourself to take on something new–can be exactly what’s needed for many people struggling with mental issues. As Clara says about her own struggles, “Movement is my medicine.” And as she continues to advocate, let’s talk about it. I concur. My roads are wide open. Sciatica? Get on a bike! A long climb for a first-timer. Little did I know then that bakeries figure large on any cycling trip. 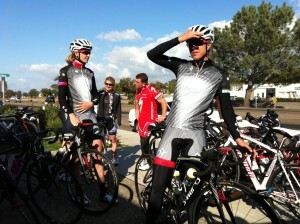 Some of the Specialized-Lululemon Road Team. 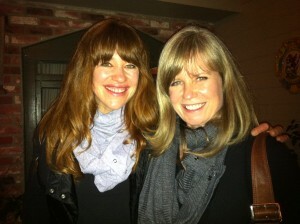 With my cycling inspiration, Olympian Clara Hughes. 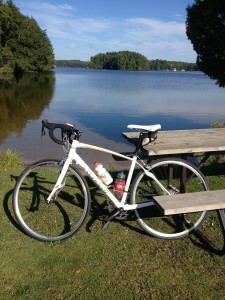 Late in 2011, I had my first cycling experience–and have never looked back. 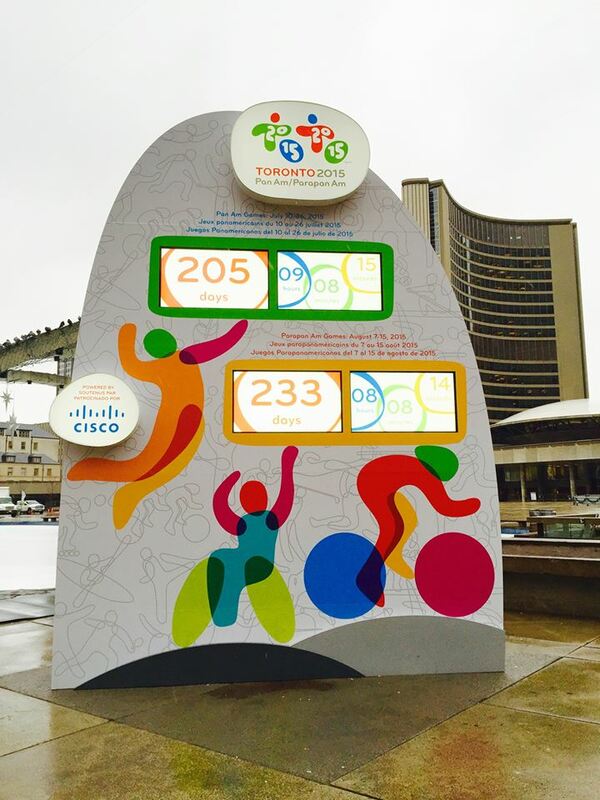 I’d never have tried it if not for celebrated Olympian and humanitarian Clara Hughes. The first day, I didn’t change a gear for 20k…and on day two, hills just about beat me. I’ve come a long way since then, clocking a few thousand kilometres and a bunch of charity rides. It’s an amazing thing… trying something new, and seeing where it goes. Highly recommended! Ever wonder how you can take a beach vacation, yet sometimes come back without having gained any weight–despite the indulging in food and drink that goes hand in hand with vacations? It could be as simple as walking in the sand, which burns far more calories than walking on a hard surface, since it requires more than double the effort. 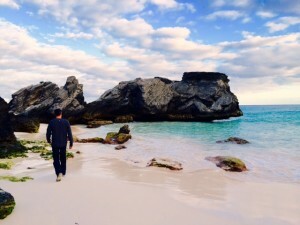 My husband and just got back from a couple of days in Bermuda and its lovely pink sand, where I got exercise without even realizing it. Here are some more facts, courtesy of the U.K.’s Daily Telegraph: A gentle walk along the beach can provide a surprisingly vigorous workout. “Walking on sand uses up between 20 and 50 percent more calories than a similar stroll at the same pace on a hard surface,” explains LA Fitness trainer James Forbes. How much of a workout you get depends on where on the beach you walk. 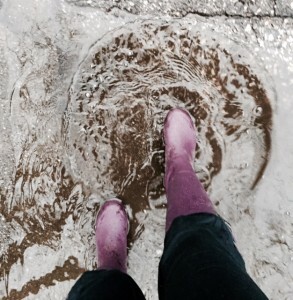 The least strenuous route is along the waterline, where the wet sand acts like a pavement. “The softer the sand,” says Forbes, “the greater the resistance and the harder the workout.” In just 10 minutes, you can burn some 80 calories.